We are so thankful to have served you for ten years! Help us celebrate our ten years by posting pictures on our Facebook page celebrating your special occasions or dining at Chadra. Pictures from our original location on Galveston are highly coveted! 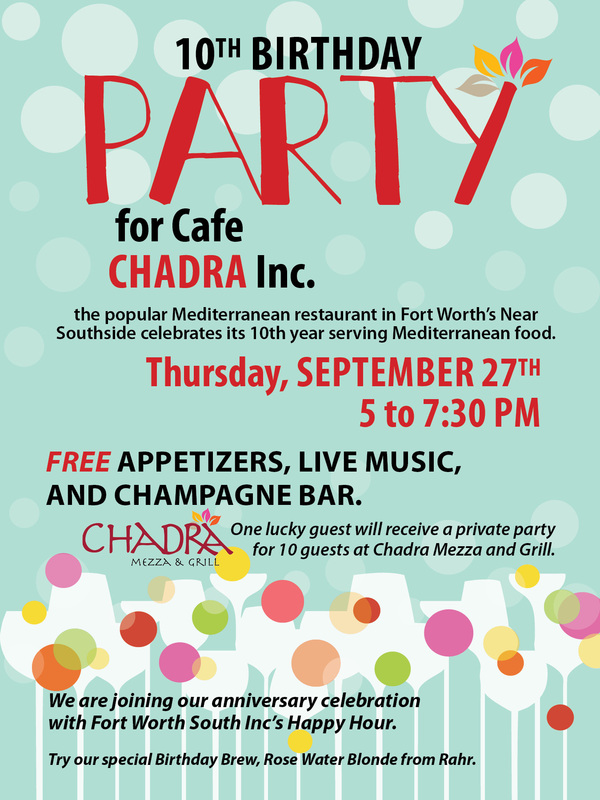 Every post/picture puts your name in a special drawing to win a private party for 10 guests at Chadra. Drawing will take place on September 27th.